Chevrolet Colorado and GMC Canyon: a possible return! In 2011, General Motors, has a retired its compact truck Chevrolet Colorado and GMC Canyon, while Ford had done the same with his model Ranger. Barely a year later, it was already beginning to talk of a possible return of the compact GM trucks. Today, we find on the net a teaser showing a section of the future gate of each truck. For GM, it would be a decision that is not alien to the loss of work facing the big Chevrolet Silverado and GMC Sierra. In all likelihood, the 2015 Chevrolet Colorado inherit the formula employed by the Chevrolet Coloraro, still manufactures in Brazil. 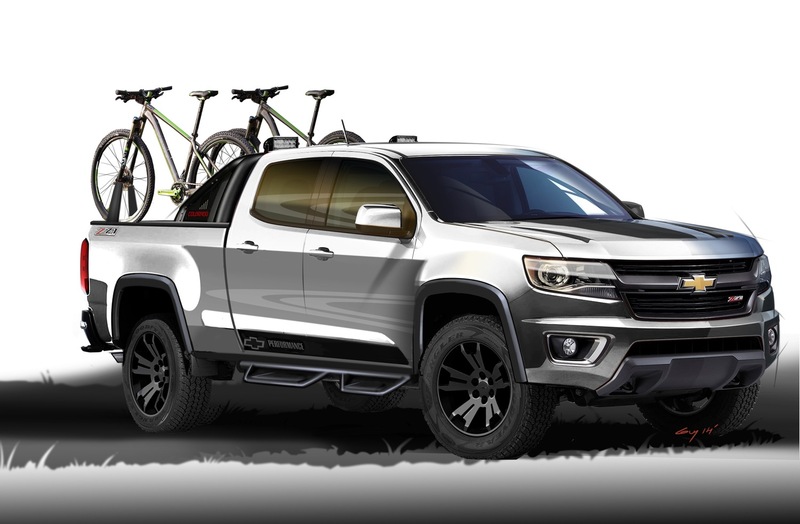 It appears that the Colorado and Canyon 2015 would be officially unveiled in November at the Auto Show in Los Angeles. Otherwise, it will be the International Auto Show in Detroit two months later.